There will never be another Buddy Rich. Buddy was one of a kind; and in an elite league all of his own. Buddy was a huge influence on me as a drummer and a musician. I had the wonderful honor of playing on some of the same concerts with him when I played with The Maynard Ferguson Big Band in the early 1980s. Buddy set the bar higher than could ever be expected for all drummers forever. He was the best of the best. His precision, technical skill, but most of all his passionate musicality will always live on. I grew up in a very musical family in Detroit, Michigan. My dad, Bud was a drummer. My mom, Phyllis played vibraphone and piano, my brother Matt plays bass, and my sister Kathy played violin. My son Noah and my daughter Mary are both really good drummers with a great groove. Noah is now 19 and Mary is now 16, but I can remember vividly that when they were little, Mary used to quote from Sammy Davis Jr.s’ introduction of Buddy when they did their live album in Las Vegas…Out of the blue at four years old she would exclaim “Ladies and Gentlemen…BUDDY RICH”. This always made me remember how big a part of our family Buddy was when I was growing up. The first time I was brought by my parents to watch, hear, and experience Buddy and his great big band, was around 1969 or 1970. His big band that featured Richie Cole on alto sax and Pat LaBarbera on tenor sax was phenomenal. The venue was a dinner theater in Windsor, Canada, which was just over the Detroit River from where we lived in Warren, Michigan. My parents had reserved a table right in front of Buddy’s bass drum! His playing absolutely blew me away. I immediately went home that night and played my drums in our basement and woke up my then sleeping brother, sister and grandparents that had spent the night to babysit. I was SO inspired!!!! I was very blessed that my parents took me to see Buddy play dozens of times growing up, whenever he would play anywhere in the Detroit area. Detroit has always been a great music town, and I think Buddy dug playing there. One of the funniest moments that happened a few days after going to see him play with his great band, was that I put on a forty five record single of the song "Green Eyed Lady" by one of my favorite bands called Sugarloaf. It was one of my favorite songs. 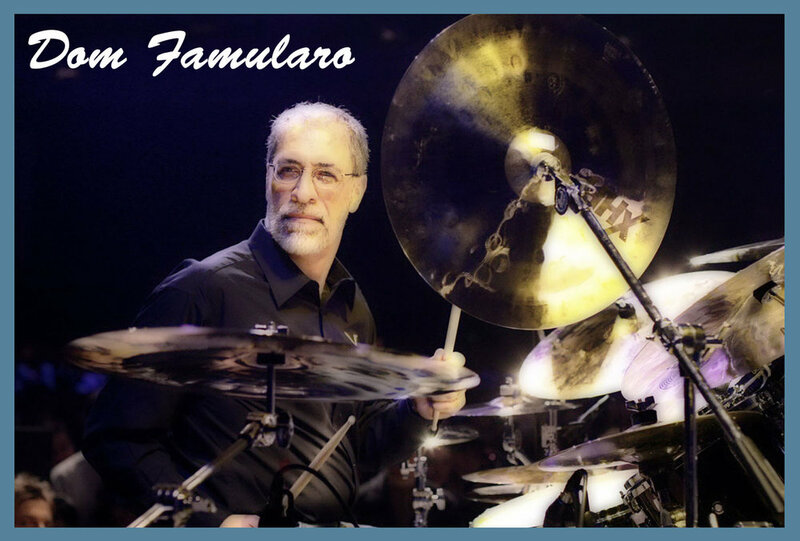 I played the 2 bar drum solo fill right after the intro for my dad, and I asked him if he thought Buddy could play that…He was astonished that I had asked him that and he laughed and said in a loving way…“Are you kidding me? Your mom and I just took you to see Buddy play live for 2 hours…You sat right in front of his kit…and you aren’t sure if he can play that simple sixteenth note fill around the toms? Of course he can!! !”… Then he smiled, grabbed a cold beer out of the fridge and said…”Let’s go into the living room and dig some Buddy Rich albums :) " (that is still one of my favorite songs though:) My dad later got me into listening to the great contemporary more rockin' album “Buddy and Soul.” I would practice with my eyes closed to that album over and over for hours every day and pretend that at 13 years old, Buddy needed me to sub for his big band on the barn burner arrangement of "Greensleeves"...That’s the stuff that dreams are made of! My great friend and drummer pal John DeChristopher and I used to talk about how our parents used to let us stay up WAY past our bedtimes on certain school nights (when our TV GUIDE magazine would alert us that he would be a featured guest) to watch Buddy on The Tonight Show with Johnny Carson. It was tough to fall asleep after hearing him play one of his masterful solos on TV! And the verbal interview interaction between he and Johnny Carson was hilarious!!! One of the highlights of my life was when Jerry Steinholtz and Cathy Rich brought my Mom, Dad and me into Buddy’s dressing room to say hello after an amazing show at The Comedy Store in Hollywood in the 1980’s… Buddy was SO cool to us….He was all sweaty and wearing a robe (but he also had on cool dress boots! )…It was one of the guys in the band’s birthday that night and he offered my mom a piece of cake…My mom told him that she used to jam with a great guitarist in Detroit many years ago that was left handed named Wayne Wright. She knew that Buddy dug Wayne’s playing and that Wayne had played in his band years ago. He told her he was thinking about bringing a guitar player out on the road. He could not have been nicer and more gracious to us. Buddy made me feel great by letting me know that he thought it was cool that a drummer that had played with The Maynard Ferguson Big Band, was now playing on MTV with a big rock band like The David Lee Roth Band. I recently discovered on YouTube a link to an audio clip of Buddy sitting on a drum stool with only two bass drums in front of him. I knew that he had grown up as a great tap dancer, but wow was he able to put that tap dancing experience to great use by showing us all how musical he could play a double bass drum solo by using nothing but two bass drums!!!!!! It is an AMAZING solo with nothing but two bass drums! Buddy will live on in my heart and mind forever!! 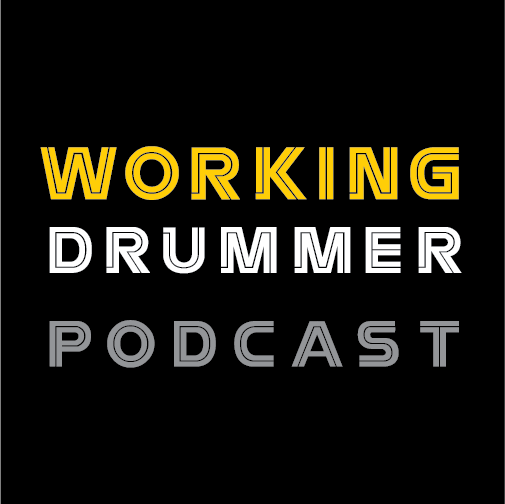 "Buddy Rich set a standard to our art form that is so high...the only way to understand it is to listen to his recording and live in the moment with him. Buddy did two things for me...he inspired me and intimidated me! I was inspired to practice every day and intimidated to know how much I needed to practice and learn! I had the chance to meet Buddy in 1971 and know him for the last 16 years of his life. My teacher from Long Island, Al Miller, was in the Marines with Buddy in World War II. Al introduced me to Buddy at a concert. 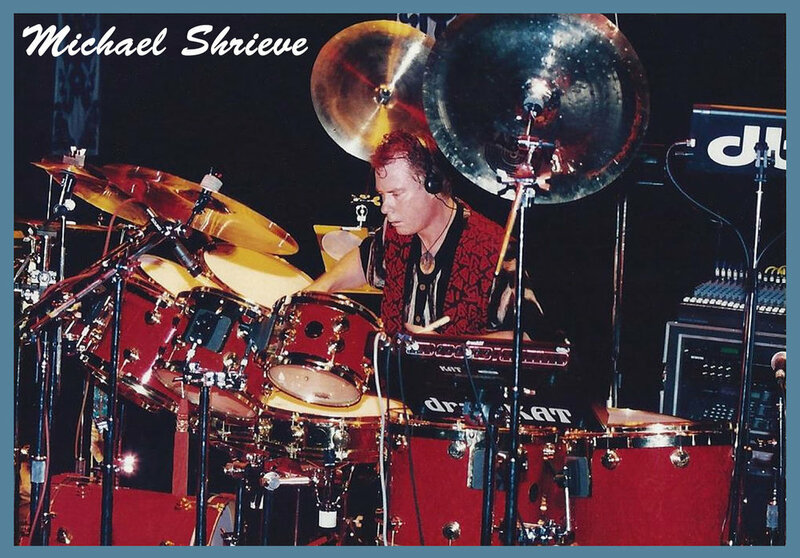 I heard him over 100 times, and was always impressed with his dedication and high level of playing...All the time! Buddy Rich is to drumming what Picasso is to painting, he is the measuring stick that all drumming, past...present and future is compared. It has been said, that creativity is more style than ability. Well, Buddy had a never ending supply of both style and ability! With what Buddy has shared with me and millions of other aspiring drummers will keep the memory of Buddy alive forever and ever...Amen! Buddy Happy 100th!" I grew up as a kid studying out of the Buddy Rich snare drum book. Buddy was a hero of mine, and I started out loving all of the big band stuff. 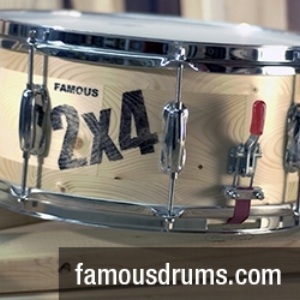 I had the drum battle record – Buddy Rich Versus Max Roach. Buddy’s ‘Swingin’ New Big Band’ album was a big thing for me, with ‘Big Swing Face’ being equally as huge. I loved – ‘Mercy, Mercy, Mercy’, and always believed that Buddy’s version of ‘West Side Story’, was truly monumental…Of course, Buddy was unbelievable! I was 16, and living in the San Francisco Bay Area at the time. My brother Kevin and I went down to a hotel in Palo Alto, California where Buddy was playing with his Big Band. We were standing outside, but didn’t have any tickets. Buddy came out so we started talking to him, and he was the sweetest guy. I told him that I studied out of his book, so he invited us in. We entered the ballroom where he was playing, and Buddy made sure we had great seats in the front row…It was unbelievable! I had heard that he could be difficult, but he was the nicest guy, and what an amazing performance !! When Buddy was finished, he got up from the drums and began sliding up against the wall. His back was in so much pain that he could hardly walk. Yet, he came up and talked to us afterwards. I realized that he had just gone through all of that incredible playing with such a high level of pain going on…It’s just one of those things that happen when you’re a kid that you never forget. Buddy Rich was a supreme musician who raised the level of the players around him and inspired them to perform at their best. 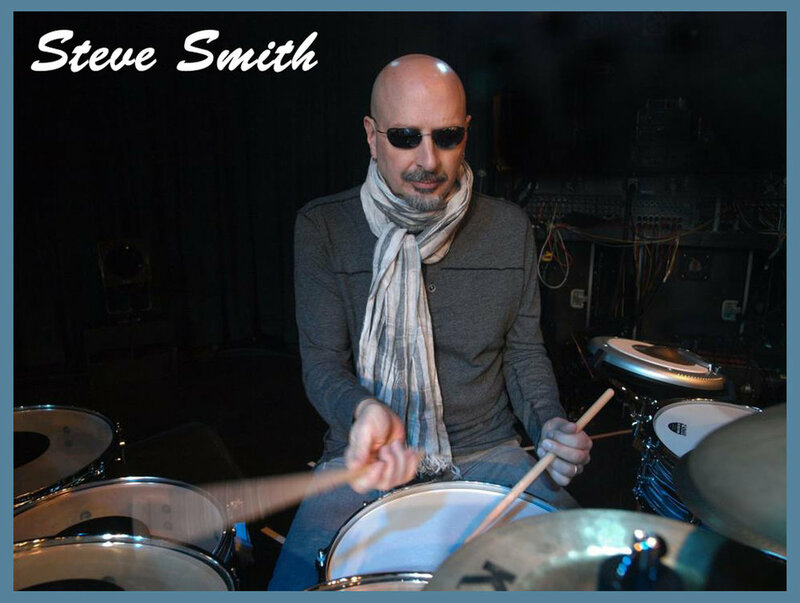 Though no one could -- or STEVE SMITH never will -- play the drumset like Buddy, it's inspiring to have his benchmark of what is possible. Fortunately, I saw Buddy Rich perform a number of times around the Boston area, starting in 1968 when my parents took me to see Buddy at the Boston Globe Jazz Festival. I was big band fan and once I got my drivers license, would drive long-distances around New England to see his incredible big band. Once I saw him perform with his small group at his club in NYC, Buddy’s Place. To be in the room with him and experience his playing live was always mind-blowing! I met Buddy a couple of times and he was cordial and polite. Over the past 20 years I’ve had the great opportunity to play with many of Buddy’s alumni and been privy to numerous — and never ending — “Buddy stories.” I won’t be relating any of those here, but after talking with such distinguished alumni as Steve Marcus, Andy Fusco, Chuck Findley, Bobby Shew and Pat LaBarbera, a common thread is this: they all loved Buddy and still think fondly of him as a person and as a player he would astound them every night! And they all spent many YEARS playing with Buddy! I’m thankful that Buddy Rich left such an incredible body of work that we can still enjoy. I’m especially grateful that I was able to witness Buddy in person, which was always a life-changing experience.